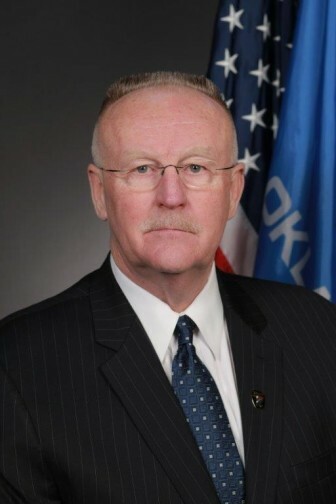 OKLA. CITY – Oklahoma Watch will hold a public discussion with Oklahoma Department of Corrections Interim Director Joe Allbaugh on April 12 on the challenges of taking over a prison system troubled by overcrowding and rundown conditions. The forum will be from 6-7 p.m. at Kamp’s 1910 Café, located at 10 N.E. 10th Street in Oklahoma City. Oklahoma Watch Executive Editor David Fritze will moderate the discussion. Those interested in attending are encouraged to register online and come with questions. The problems in Oklahoma’s corrections system are publicized so often as to seem unsolvable. Incarceration rates are among the highest in the nation. Wages for corrections staff are at fast-food levels, causing staffing shortages. Many facilities are rundown or obsolete. Treatment for mental illness and addiction is limited. Drugs, contraband and gang violence persist. Executions have become a nightmare. Amid all of this, money is tight, with a current-year budget gap and next year’s shortfall looming. Allbaugh comes in with no background in corrections but with years of government, business and political experience. Shortly after arriving, he talked candidly with reporters and describes himself as decisive. What moves will he make, and what is achievable? Allbaugh was named interim director of the Oklahoma Department of Corrections in January 2016. He is a native Oklahoman and grew up on a family farm west of Blackwell. He previously served as deputy secretary of the Oklahoma Department of Transportation. Before joining the Corrections Department, Allbaugh was founder, chief executive officer and president of The Allbaugh Company and Allbaugh International Group, where he focused on strategic and operational consulting for businesses and governmental entities. He served as the national campaign manager of Bush-Cheney 2000 from July 1999 to December 2000; as a founding member of President George W. Bush’s Homeland Security Advisory Council; and as chief of staff to Texas Gov. George W. Bush from January 1995 to July 1999. In January 2001, President George W. Bush appointed Allbaugh to lead the Federal Emergency Management Agency (FEMA) and he was unanimously confirmed by the Senate. He was FEMA director until March 2003, when the Department of Homeland Security was created. The day of the 9/11 terrorist attacks on the World Trade Center in New York City, Pennsylvania and the Pentagon, Allbaugh led the federal government’s response to the attacks.